Q: I have high blood pressure and allergy. Are allergy drugs OK for me? Q: Does hypothyroidism affect blood pressure? Yes. Hypothyroidism frequently increases diastolic blood pressure, particularly in elderly people. Changes in blood pressure tend to occur late in the course of disease and are the result of blood vessel stiffness. Treatment of thyroid dysfunction usually normalizes blood pressure. Q: What causes tinnitus? High blood pressure may cause tinnitus? It may be transient or it can be heard all the time in one or both ears. 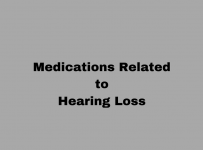 High blood pressure could be a cause of tinnitus. It that case tinnitus is heard in both ears and is pulsatile i.e follows the heart beat. When blood passes under high pressure through narrowed blood vessels it makes a noise so intense that can stimulate the hearing nerve. Q: What herbs I should avoid if I have high blood pressure? Q: I have mildly elevated blood pressure. Do I need medication? 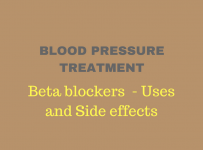 It is not clear if blood pressure drugs help in case that your blood pressure is mildly increased (140-159 systolic and/or 90-99 diastolic) because the potential benefits are less than the risk of side effects. Life style changes in that case, are more beneficial than drugs, if the only health problem you have is high blood pressure. Keep in mind that very low systolic pressure is bad for elderly people because of the risk for ischemic stroke. Atherosclerosis causes loss of blood vessel elasticity rendering them stiff and narrow so less blood goes to the brain and other organs. And while young adults have addaptive mechanisms to deal with this, elderly people do not. One of the bad consequences of this could be an ischemic stroke. Q: Does running increase my blood pressure? During running and other aerobic exercises, blood pressure normally rises to meet the increased needs of the body in oxygen. People that do not routinely exercise are more likely to experience increases in their blood pressure and heart rate. Although mild blood pressure rising is not a concern for most people, extreme elevations could be a red flag for future hypertension. Q: Why does blood pressure increase from sitting to standing? Blood pressure increases during rising up from sitting to standing, in order to provide that enough blood will reach your brain and το prevent blood pooling in your legs. Q: Why I have high blood pressure after delivery and breast feeding? Hypertension affects 6-10% of pregnancies, but there are few studies about incidence of high blood pressure after delivery. The most common cause of postpartum hypertension is high blood pressure during pregnancy or pre-eclampsia that persists after delivery. Women with pre-eclampsia have a 3.7-fold increased risk to develop high blood pressure in the future. Besides it is not uncommon for pre-eclampsia to appear for the first time after delivery. If your blood preassure readings remain high for more than 6 weeks after delivery, you should consult a specialist. Blood pressure increases transiently while smoking a cigarette or when exposed to passive smoking and returns to the initial levels 20 minutes after. Some observations suggest a transient increase Later, stable high blood pressure may occur as a result of blood vessel damage caused by smoking. Even if your blood pressure was normal by the period you were smoking, you may observe that your readings began to increase after you started to quit. Usually there is nothing to worry about, unless your blood pressure spikes far exceed the normal values or last longer than 1-2 weeks. So if you decide to join a smoking quitting program, your doctor may prescribe you antihypertensive drugs to prevent eventual blood pressure spikes. Q: What are the effects of stroke on the right side of the brain? Q: What are the effects of stroke on the left side of the brain? Q: How accurate are the wrist blood pressure devices? Wrist devices are frequently subject to errors. These errors result from the wrong positioning of the arm in relation to the heart. Q: How Can High Blood Pressure Cause Heart Attack? High blood pressure progressively leads to hardening of all blood vessels in the body including the coronary arteries that supply the heart muscle. As a consequence, the coronary arteries slowly, become narrowed, limiting the amount of blood flow in the heart. Without oxygen the heart muscle is unable to contract efficiently and suddenly stops its activity, that is heart attack. Q: Could Premenstrual Syndrome affect my Blood Pressure? Premenstrual syndrome (PMS) is associated with higher incidece of high blood pressure. Women of age of 40 and before, are 3 times more likely to have high blood pressure, compared to women of the same age who do not have PMS. This risk is present even for women who are active, not smoking, have normal weight and without family history of high blood pressure. HIIT stands for High Intensity Interval Training. It is a mode of exercise that provides the same benefits as a 45-minute workout, in as little as 10 minutes. Several studies have shown that high-intensity interval training, is superior to continous exercise of moderate intensity, not only for cardiorespiratory fitness, but also for improving insulin resistance, muscle function and fat burning. Q: What is considered high blood pressure emergency? Hypertensive crisis comprises two clinical entities: hypertensive urgency and hypertensive emergency. Both of these conditions can occur when blood pressure exceeds the upper limits. Blood pressure spikes with readings of 180/110 or higher but there is no potential damage to the body’s organs. 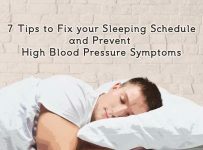 Blood pressure can be lowered within a few hours with blood pressure medication. Blood pressure increases to the point that organ damage can occur. Immediate hospitalization and is needed to prevent irreversible organ damage.